WestJet has dropped the price of their February 2017 flights from Edmonton to Port of Spain, Trinidad and Tobago down to $451 CAD roundtrip including taxes. It's unusual for WestJet to drop the prices of their flights from Western Canada to Trinidad and Tobago, especially to 42% below the typical best price. The flights are also as fast as Edmonton to Trinidad and Tobago can be done. Trinidad and Tobago is in the very southern Caribbean, with average highs of around 30C in February. When you get to the WestJet website, choose the flight with 12 hours of total travel time on the way there, and 14h on the way back. WestJet lists the longer flights first. Airbnb rentals go for an average of about $160 CAD/night on Trinidad and Tobago, but it looks like there are a high number of well reviewed places to stay for $80 to $100 CAD per night (for 2 people). 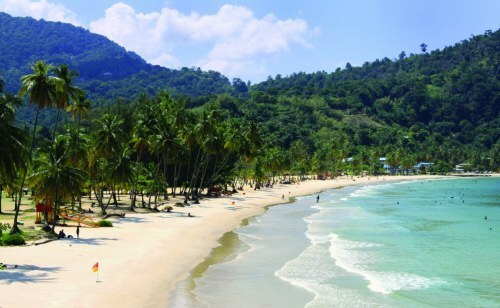 The country of Trinidad and Tobago is comprised of 2 islands. Trinidad's landscape is more mangrove and rain forest, while Tobago is probably more what you're picturing when you think of a beautiful Caribbean island (palm trees, white sand, etc). 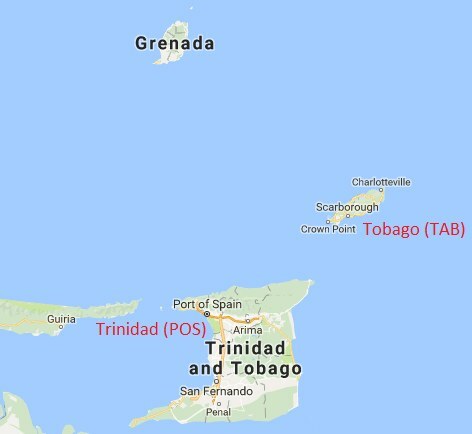 It costs around $48 USD ($65 CAD) roundtrip including taxes to fly between Port of Spain (POS) on Trinidad, and Tobago (TAB), using Caribbean Airlines. There are flights departing nearly every hour, and it takes about 25 minutes. The first piece of checked luggage is included free. You can find these flights at Caribbean-Airlines.com. edmonton, yeg, caribbean, flight deals, eastern caribbean, south caribbean, port of spain, trinidad and tobago, pos, windward islands and lesser antilles. 5 Responses to "Edmonton to Port of Spain, Trinidad and Tobago - $451 CAD roundtrip including taxes"
Looks like every date has sold out. Hopefully WestJet will drop some more of these at some point. They've been dropping them from Toronto every now and then for the past month or so. I'm afraid this one sold out quite a while ago. It was posted on December 16th. Are you signed up for the e-mail alerts? That's the best way to see the deals as soon as they are posted. That shows just how amazing this price was while it lasted!